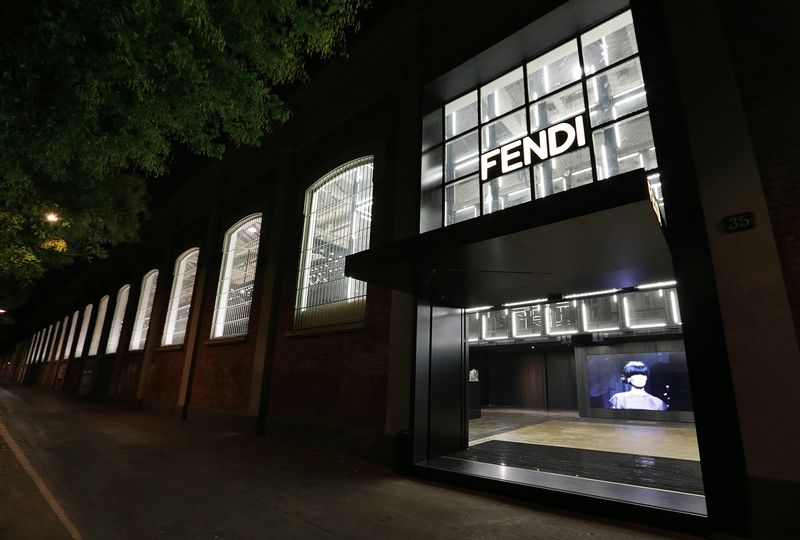 Fendi’s new Headquarter in Milan had formerly been the seat of the Riva Calzoni steel plant and in more recent years of Arnaldo Pomodoro’s foundation for a decade. 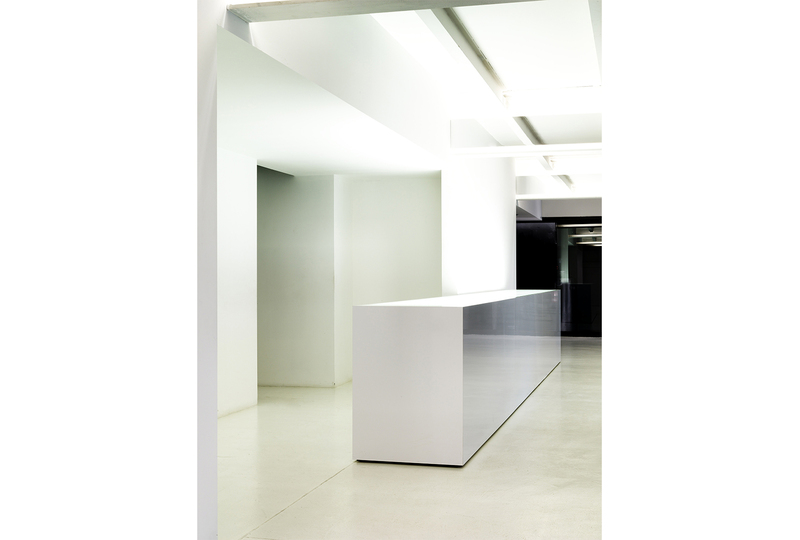 It is a large industrial architecture where we organized offices, spaces for fashion shows, showrooms and warehouses. 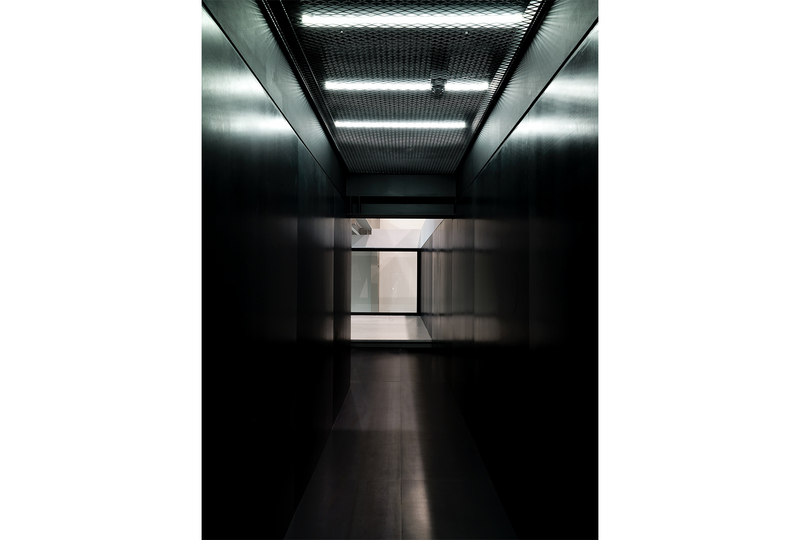 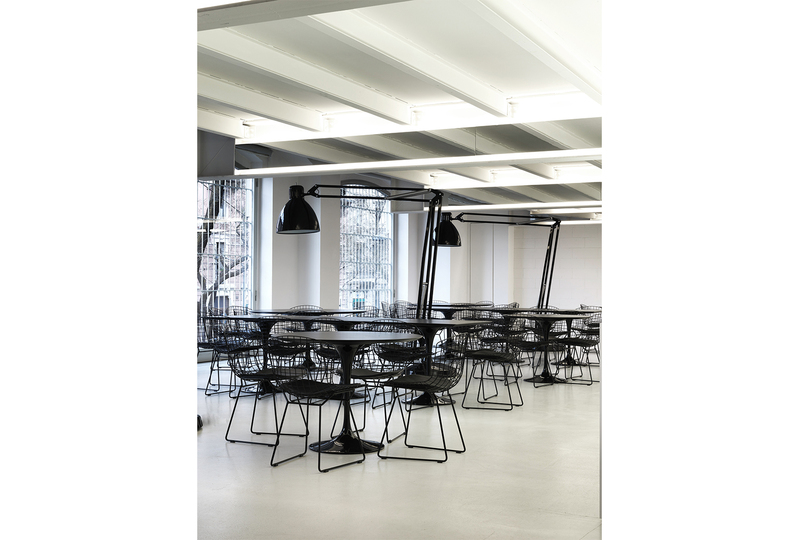 On the ground-floor we recovered the old concrete floors hidden under layers of plastic coated paint and, to provide maximum flexibility of space, we designed the service and work areas as if they were free standing areas using black waxed metal walls that can easily be moved . 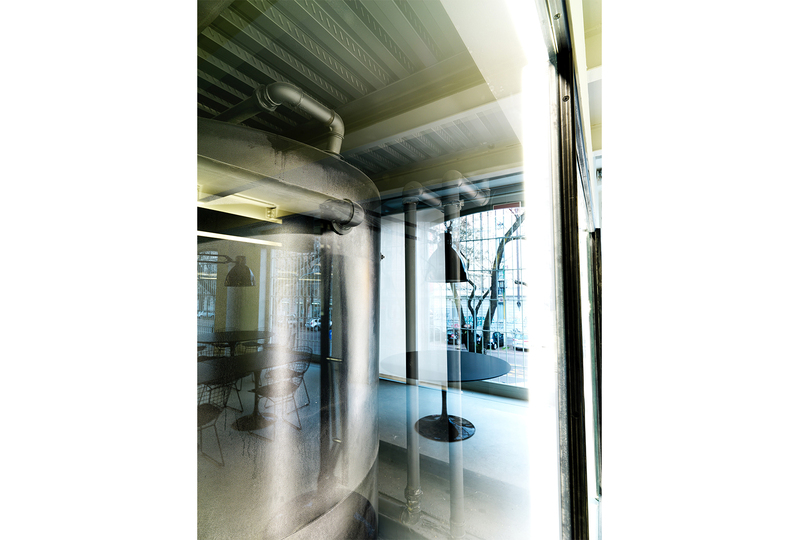 The long piers, overlooking and dividing the big expositive volume in two, were transformed into exhibition spaces and working areas. 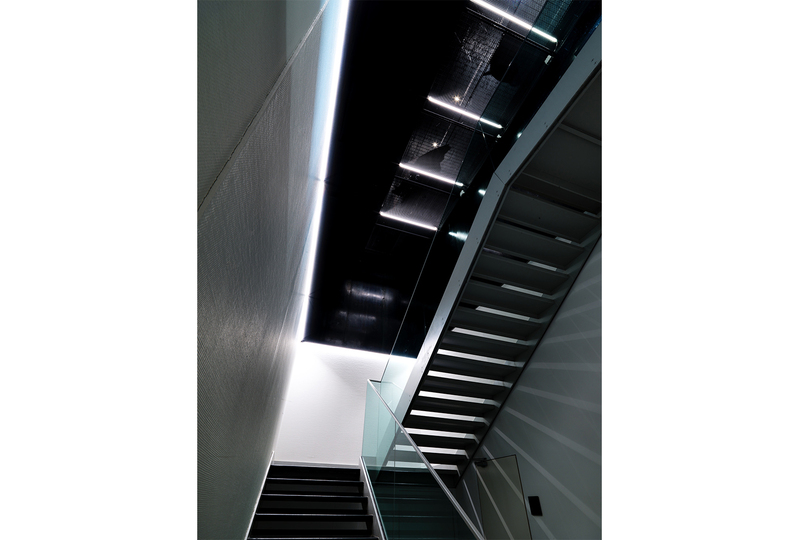 On the second level the executive offices serving the showroom have been placed as if they were overlapping containers. 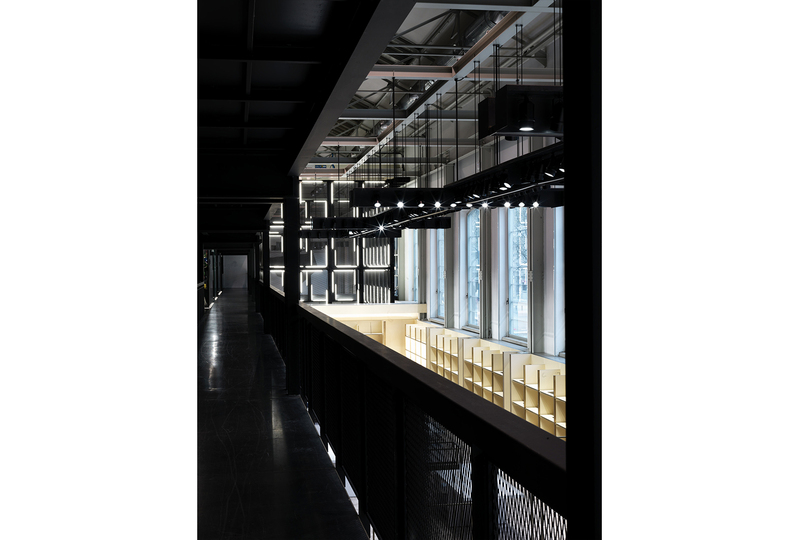 The press area offices were made in a different zone accessible by a new suspended walkway that overlooks dramatically over the area normally used as backstage during fashion shows.